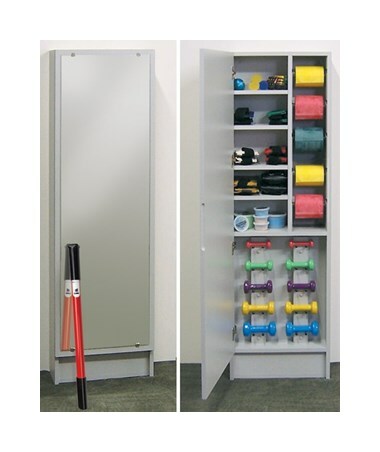 The Clinton Industries Element Series Hide-A-Way Cabinet with Weight Rack and Mirror is a multi-purpose storage device designed to not only hold and store various weights and much more making it an optimal choice for any physical therapy or rehab facility. It features a full-length mirror that has polished edges with American National Standards Institute (ANSI) 297 safety backing. 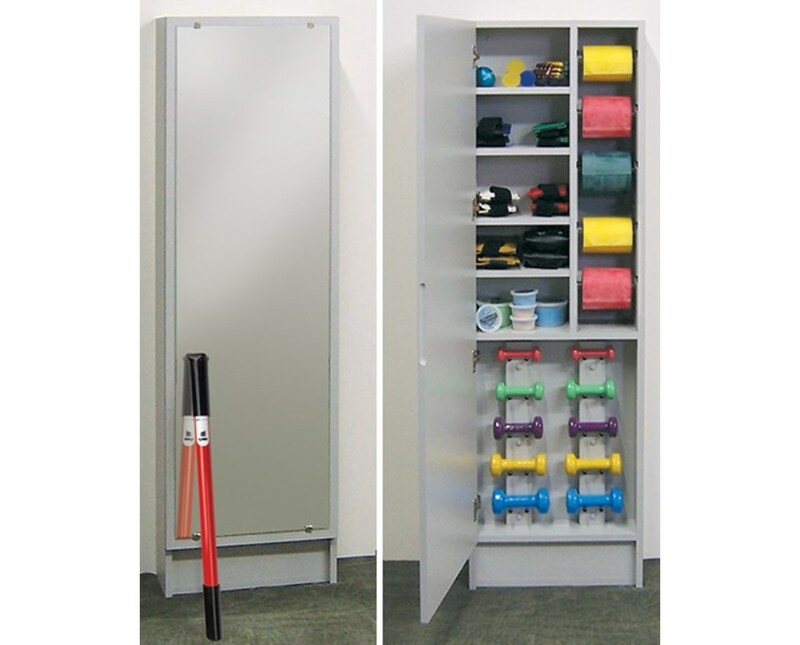 Made with 4 adjustable shelves, the Hide-A-Way Cabinet with Weight Rack and Mirror can hold up to 18 cuff weights, 10 dumbbells, 5 independent, quick-change positions rolls of exercise bands and/or tubing. The Clinton Industries Element Series Hide must rest on the floor & be safely secured to the wall and comes in a size of 20.5" L x 7.5" W x 66" H.